After work this week, you could say I stayed busy with my sewing. I have began to make new products for the holidays and for an upcoming craft show. As you can already tell from my previous entry and my Halloween costume, I love cupcakes! I love anything with a cupcake on it whether it’s a fabric pattern, an apron, and not to mention cupcakes are delicious! 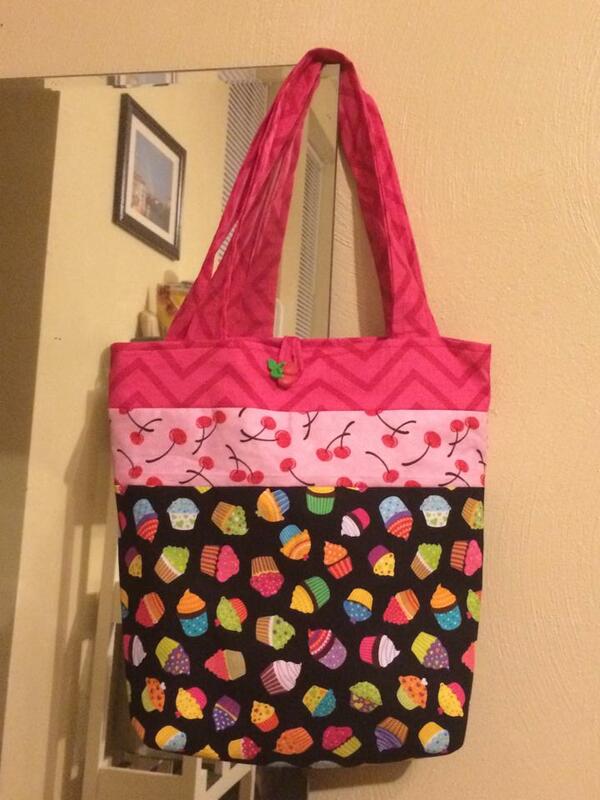 I have made a sweet little cupcake bag this week and I loved how it turned out with the bright colors and the cupcake/cherry fabric. I also added a little bit of pink chevron fabric and a cherry button! This will be sold at the crafter store. I have been trying to focus on using more recycled and old fabric. 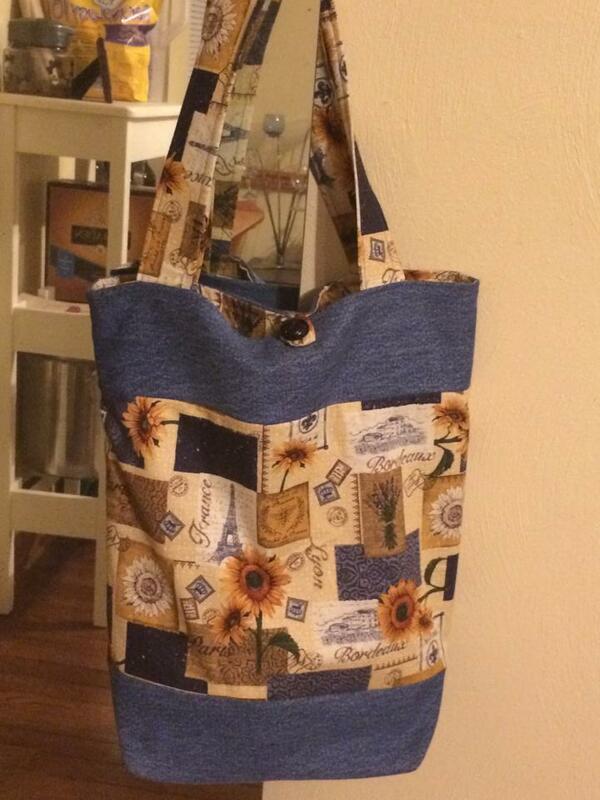 So this week I made a second tote bag with Paris/sunflower pattern fabric, and I added denim fabric that came from an old pair of jeans. I loved how it turned out! This was my first time ever sewing with denim fabric. This will also be sold at 3 Little Black Birds! 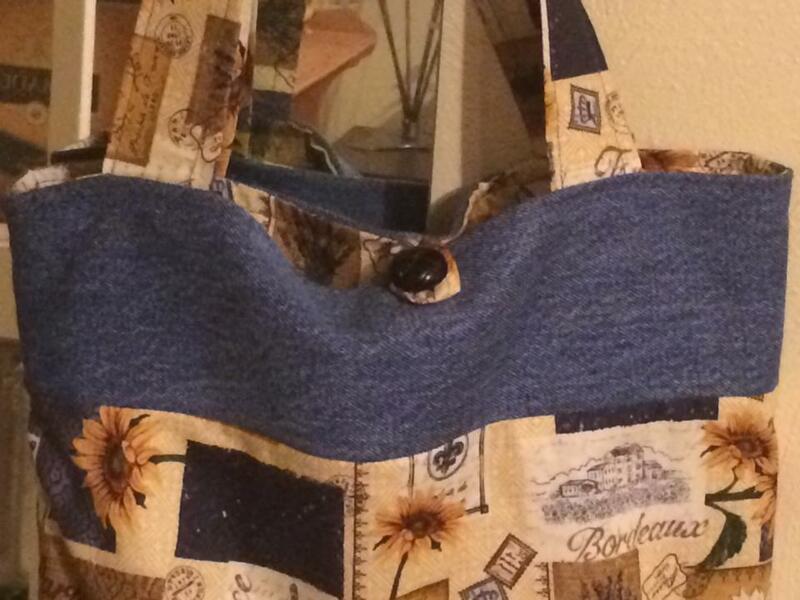 Next New Tote, New Fabric!